Have you ever noticed how time can just get away from you? SIGH!!! That is how my week has been. I have been running behind the whole week. I had an early doctor's appointment today. I scheduled it for 8 o'clock so that I could get back and get lots of work done. Well, you know what they say about the best laid plans. I had to go over for x rays and then I had to wait and then I had to wait some more. Suddenly it seemed like the whole morning was gone. No problem. I came home and started to write my transformations on a Thursday post. That's where the OOPS came in. I suddenly realized I had skipped right on over Thursday and landed in Friday. It has been one of those weeks. I think the bad weather may have thrown me off. Sunday's auction was cancelled, then Monday's auction, and finally Thursday's auction. Don't these people know that this is how I keep track of what day it is? Maybe my brain will also come out of its deep freeze and I will once again be able to answer questions such as "Do you know today's date?" correctly. Let's face it, I have been insisting that it is June for weeks now. It was my only defense. P.S. If you are wondering why this is getting posted so late, it is because right when I was getting ready to finish it I realized it was an hour later than I thought, and I was late for the auction. SIGH and OOPS!!! P.P.S. 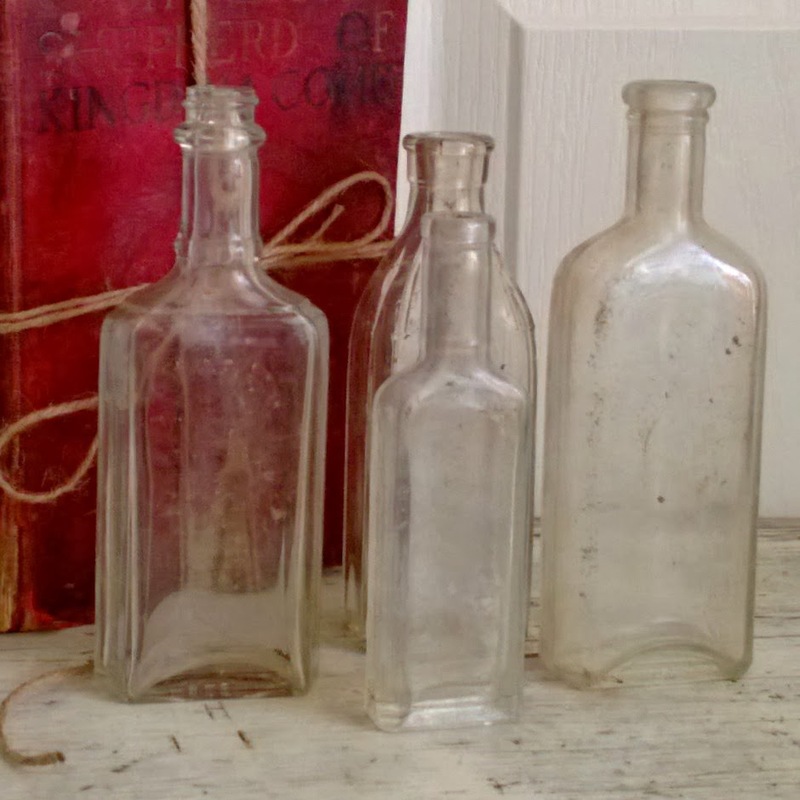 And if you are wondering about the bottle photos, I was psyching myself up to find some more old bottles and I did. No sighs or oops there. Laura! You made me laugh! I hope all went well at the doctor's office. I posted and retracted my Friday post...just gave up and headed to work. Have a great weekend! I hope that you have good sales! I hope the doctor visit went well. Just wait until the time changes this weekend....we'll all be 'off' then! Happy weekend my friend! Hugs! I know. Sigh. I'm forever thinking it's another day. At least the snow is melting here too. I hate days like that too. Doctor appt's seem to eat up more time than they should. Usually there is a lot of driving and waiting. Hope the weather continues to improve for you. You have just the right way of putting things for those of us that run behind. I think you are doing pretty well! Love the bottles and so wish my schedule was filled with auctions. My life seems to be muddled more often than not. The time change is going to add to the chaos. All the best healthwise. You do know that we need to "spring ahead" this weekend, right?! 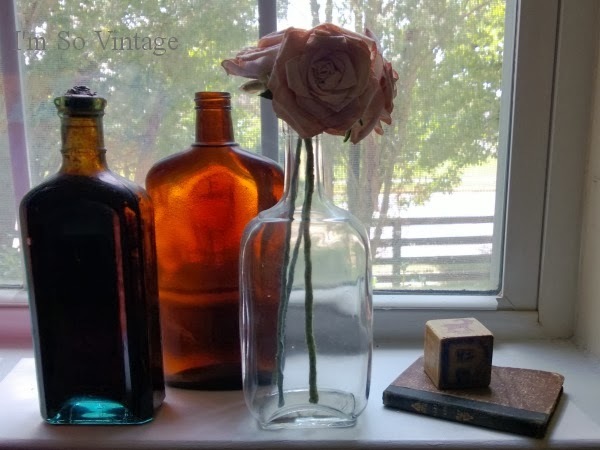 I'm glad you had time to photograph the bottles--they look so pretty in the light! Your new mantra might have to be "I'm late, I'm late....for a very important date." Once the snow melts you will catch up...oh around June sometimes. Oh, why did you have to have X-rays? I hope you're alright. 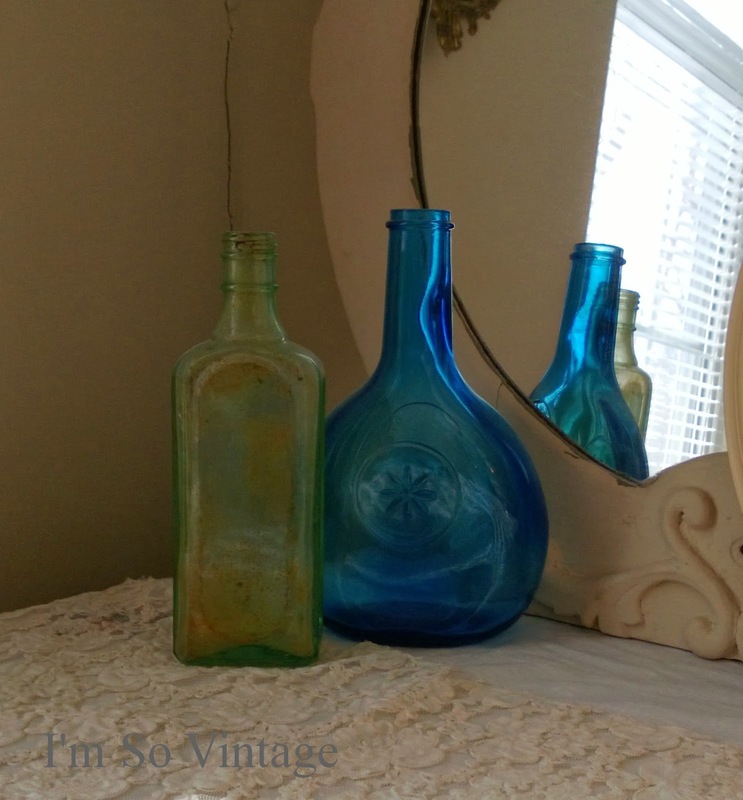 I love those old bottles and your oops made me laugh! You are a funny woman yet I come to see the beauty of those bottles! They are truly amazing as the way you deliver the message. Keep everything okay and no opps. Classy bottles!